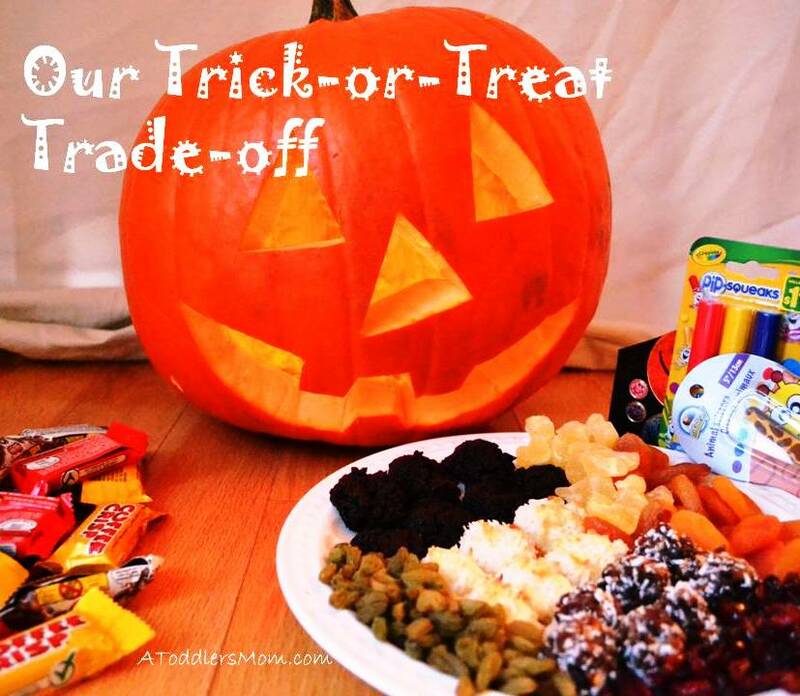 Since out little one has so many allergies, we introduced a system at our house where he trades in his collected Halloween candy for homemade treats and other fun items. After my little guy had fun getting dressed up and collecting candy from the neighbours last night, the real entertainment began in a lively trade-off. He loved to use his newly acquired packages as currency, trading in colourfully wrapped chemicals, allergens, and artificial colors and flavours for something more substantial. In exchange for his junk, he was able to choose from a selection of dried fruit, such as pineapple, papaya, apricots, raisins, dates, cranberries, etc. The wheeling and dealing then continued with even more treasures such as stickers, scissors, arts-and-crafts supplies, and blowing bubbles. Not did we have a blast dressing up, going door-to-door in the neighbourhood, and bartering for prizes when we returned home, but we also escaped the Halloween horror of sugar highs and sugar lows, hyperactivity, mood swings, upset tummies, and allergic reactions. Our Trick-or-Treat Trade-Off was an offer that was just too good to resist. What a good idea!!! I know my friend just ordered a bunch of allergy free candy. Glad he had fun.